Maximize your clients’ returns while investing in progress. 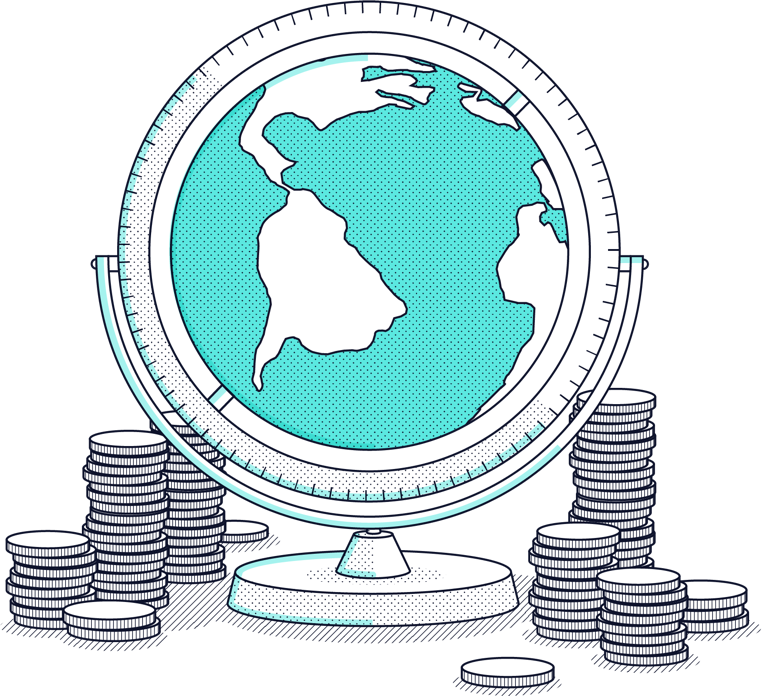 Swell provides returns-driven, tax-optimized impact portfolios that complement an overall allocation strategy. Our platform makes it easy to get started. We empower financial advisors (like you) to guide their clients’ investments in alignment with their values — all without sacrificing returns. Socially responsible investing is the fastest growing segment of the investing management world, projected to reach $53 trillion by 2025. Our aggregate thematic portfolios don’t sacrifice returns, and provide unique diversification to client portfolios. Choose from curated combinations of publicly traded companies that stand to grow based on social and environmental trends.  Each Swell holding connects to at least one the 17 United Nations Sustainable Development Goals, representing the greatest challenges facing our world. Swell is a subsidiary of Pacific Life, an insurance company with 150 years of expertise providing a wide variety of insurance and financial services. Interested in adding Swell to your offerings? We’re here to help. Download our free guide today: Impact Approach for Financial Advisors. The performance shown is the actual results of an investment account held by an affiliate of Swell and assuming our standard 0.75% annual advisory fee applied to our direct client accounts (fees may vary for accounts offered through a financial adviser). Performance figures shown are net of fees and transaction related expenses and include reinvestment of dividends greater than $1. Comparison to the S&P 500 is shown for illustrative purposes only. 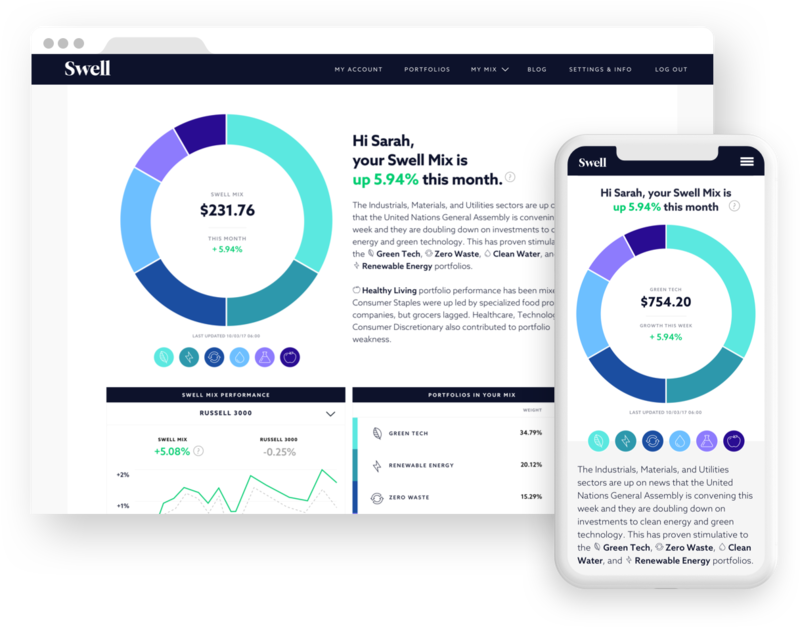 Swell’s portfolios differ from the benchmark in that, among other factors, Swell’s portfolios are managed, primarily focused on small and mid cap stocks, undiversified, bear fees and may vary materially in volatility. Past performance may not be indicative of future results.